An international team of astronomers using the Atacama Large Millimeter/submillimeter Array (ALMA) has witnessed a cosmic weather event that has never been seen before – a cluster of towering intergalactic gas clouds raining in on the supermassive black hole at the center of a huge galaxy one billion light-years from Earth. 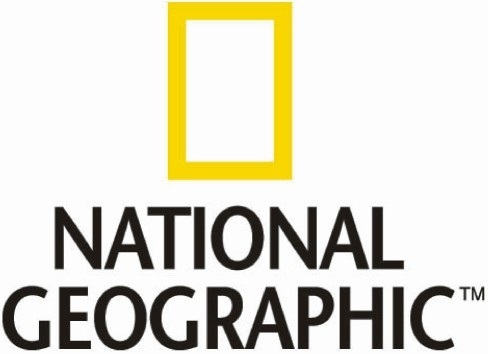 The results will appear in the journal Nature on June 9, 2016. Previously, astronomers believed that, in the largest galaxies, supermassive black holes fed on a slow and steady diet of hot ionized gas from the galaxy’s halo. The new ALMA observation shows that, when the intergalactic weather conditions are right, black holes can also gorge on a clumpy, chaotic downpour of giant clouds of very cold molecular gas. Tremblay and his team used ALMA to peer into an unusually bright cluster of about 50 galaxies, collectively known as Abell 2597. At its core is a singular massive elliptical galaxy, descriptively named the Abell 2597 Brightest Cluster Galaxy. Spreading over the space between these galaxies is a diffuse atmosphere of hot, ionized plasma, which was previously observed with NASA’s Chandra X-ray Observatory. Near the center of this galaxy, the researchers discovered this exact scenario: three massive clumps of cold gas careening toward the supermassive black hole in the galaxy’s core at 300 kilometers per second, at about a million kilometers. Each cloud contains as much material as a million Suns and is tens of light-years across. Normally, objects on that scale would be difficult to distinguish at these cosmic distances, even with ALMA’s amazing resolution. They were revealed, however, by the billion light-year-long “shadows” they cast toward Earth. These shadows, known as absorption features, were formed by the in-falling gas clouds blocking out a portion of the bright background millimeter-wavelength light emitted by electrons spiraling around magnetic fields very near the central supermassive black hole. Additional data from the National Science Foundation’s [NRAO] Very Long Baseline Array indicate that the gas clouds observed by ALMA are only about 300 light-years from the central black hole, essentially teetering on the edge of being devoured, in astronomical terms. While ALMA was only able to detect three clouds of cold gas near the black hole, the astronomers speculate that there may be thousands like them in the vicinity, setting up the black hole for a continuing downpour that could fuel its activity well into the future. The astronomers now plan to use ALMA in a broader search for these “rainstorms” in other galaxies in order to determine if such cosmic weather is as common as current theory suggests it might be. This research was presented in a paper entitled “Cold, clumpy accretion onto an active supermassive black hole”, by Grant R. Tremblay et al., to appear in the journal Nature on 9 June 2016. on 9 June 2016. The team is composed of Grant R. Tremblay (Yale University, New Haven, Connecticut, USA; ESO, Garching, Germany), J. B. Raymond Oonk (ASTRON, Netherlands Institute for Radio Astronomy, Dwingeloo, the Netherlands; Leiden Observatory, Leiden University, Leiden, the Netherlands), Françoise Combes (LERMA, Observatoire de Paris, PSL Research University, College de France, CNRS, Sorbonne University, Paris, France), Philippe Salomé (LERMA, Observatoire de Paris, PSL Research University, College de France, CNRS, Sorbonne University, Paris, France), Christopher O’Dea (University of Manitoba, Winnipeg, Canada; Rochester Institute of Technology, Rochester, New York, USA), Stefi A. Baum (University of Manitoba, Winnipeg, Canada; Rochester Institute of Technology, Rochester, New York, USA), G. Mark Voit (Michigan State University, East Lansing, Michigan, USA), Megan Donahue (Michigan State University, East Lansing, Michigan, USA), Brian R. McNamara (Waterloo University, Waterloo, Ontario, Canada), Timothy A. Davis (Cardiff University, Cardiff, United Kingdom; ESO, Garching, Germany), Michael A. McDonald (Kavli Institute for Astrophysics & Space Research, MIT, Cambridge, Massachusetts, USA), Alastair C. Edge (Durham University, Durham, United Kingdom), Tracy E. Clarke (Naval Research Laboratory Remote Sensing Division, Washington DC, USA), Roberto Galván-Madrid (Instituto de Radioastronomía y Astrofísica, UNAM, Morelia, Michoacán, México; ESO, Garching, Germany), Malcolm N. Bremer (University of Bristol, Bristol, United Kingdom), Louise O. V. Edwards (Yale University, New Haven, Connecticut, USA), Andrew C. Fabian (Institute of Astronomy, Cambridge University, Cambridge, United Kingdom), Stephen Hamer (LERMA, Observatoire de Paris, PSL Research University, College de France, CNRS, Sorbonne University, Paris, France) , Yuan Li (University of Michigan, Ann Arbor, Michigan, USA ), Anaëlle Maury (Laboratoire AIMParis-Saclay, CEA/DSM/Irfu CNRS, University Paris Diderot, CE-Saclay, Gif-sur-Yvette, France), Helen Russell (Institute of Astronomy, Cambridge University, Cambridge, United Kingdom), Alice C. Quillen (University of Rochester, Rochester, New York, USA), C. Megan Urry (Yale University, New Haven, Connecticut, USA), Jeremy S. Sanders (Max-Planck-Institut für extraterrestrische Physik, Garching bei München, Germany), and Michael Wise (ASTRON, Netherlands Institute for Radio Astronomy, Dwingeloo, the Netherlands). Tucked into a sinkhole in the Puerto Rican jungle, the world’s largest single-dish radio telescope scans the skies for signs of distant galaxies, elusive gravitational waves, and the murmurs of extraterrestrial civilizations nearly 24 hours a day. For more than a half-century, whether those waves traveled to Earth from the far reaches of our universe or much closer to home, the Arecibo Observatory has been there to catch them. But the enormous telescope, with a dish that stretches 1,000 feet across, may not be around for much longer. 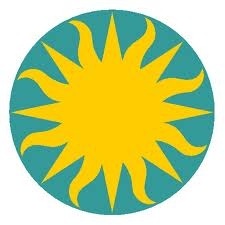 On May 23, the National Science Foundation, which funds the majority of Arecibo’s annual $12 million budget, published a notice of intent to prepare an environmental impact statement related to the observatory’s future. That might sound innocuous – after all, isn’t it a good idea to study the context in which our science facilities exist? Yet it’s anything but benign. Putting that environmental assessment together is a crucial step NSF needs to take if it plans to yank funding from the observatory and effectively shut it down. The decision to close Arecibo hasn’t been made yet, but the move follows an ominous drumbeat of similar announcements and reports that have accumulated over several years, most urging NSF to send its resources elsewhere. Now, options for Arecibo’s future range from continuing current operations to dismantling the telescope and returning the site to its natural state. It’s a decision NSF hopes to make — with input from the public — by the end of 2017, says Jim Ulvestad, director of NSF’s Division of Astronomical Sciences. The most extreme option, which could include explosively demolishing the giant dish, might affect such things as ground water, air quality, and ecosystems – thus the importance of studying the environmental impact of potential futures, especially ones that involve shutting the telescope’s eyes. Not surprisingly, this notice of intent is causing significant concern among astronomers and the local community. Arecibo is the most sensitive radio telescope in the world; and despite its age, it’s still involved in world-class science, like the search for gravitational waves. Importantly, it also helps boost a sagging local economy, and has inspired many Puerto Ricans to pursue science and think about the mysteries of the universe. Construction at Arecibo began in 1960, when – among other things – the U.S. government wanted to find out if Soviet ICBMs could be detected using charged particles in their atmospheric wakes. The telescope didn’t work well at first, but after a few upgrades it was the most sensitive cosmic radio wave detector in the world. That’s not it’s only trick, though: In addition to collecting photons from space, Arecibo is also capable of sending radio waves into the cosmos, a talent scientists use to scrutinize potentially catastrophic asteroids on Earth-crossing orbits. The Arecibo Observatory, as seen on Google Earth. In the intervening decades, Arecibo has been involved in loads of top-notch science, including work that was awarded a Nobel Prize. But it’s also become a recognizable symbol of humanity’s quest to understand our place in the cosmos (my dad, a former observatory director, used Arecibo to send Earth’s first intentional postcard to the stars in 1974), and is a semi-frequent character in popular films and TV series, including The X-Files, Contact, and GoldenEye. To say the telescope is iconic is not an overstatement. But a frustratingly flatlined budget is forcing the National Science Foundation to ration its resources. To do that, NSF relies on a somewhat contorted process of soliciting input from external reviews and panels, federal advisory boards, and the National Research Council’s decadal surveys, which prioritize science goals for the coming decade. The most recent decadal survey, published in 2010, prioritized science requiring new facilities instead of experiments that could be conducted at places like Arecibo. That survey, in combination with the dismal funding situation, is what’s causing NSF to look for facilities to dump. Despite its iconic status, Arecibo is an easy target – newer, shinier telescopes are coming online, and it’s got a relatively small number of users compared to optical telescopes across the United States, many of which are individually less expensive to run. 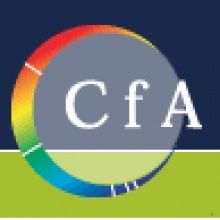 The cloudy outlook intensified this year, when NSF’s Astronomy and Astrophysics Advisory Committee urged the agency to proceed with divestment “as fast as is practical.” That was quickly followed by another NSF review that advised a 75% reduction in funding from the agency’s Atmospheric and Geospace Sciences division (AGS), slashing contributions to atmospheric research from $4.1 million to $1.1 million. And now, the sky is looking dark indeed. “The timing of the federal register announcement in juxtaposition with the AGS review is being received by most as the final death sentence for Arecibo,” Kerr says. Ulvestad says that before any such decision is reached, communities that rely on the observatory will have an opportunity to share their concerns. On June 7, the first of these meetings will take place in Puerto Rico, and a public comment period is open until June 23. After the results of the draft environmental impact statement are released, a 45-day public comment period will follow. And then? Either the storm will hit or it won’t. “To be fair to the NSF, AST and AGS are reacting to a very difficult budget situation — no significant increase in several years and none forecast,” Campbell says. Now, Arecibo’s projects include detecting mysterious bursts of radio waves coming from far, far away, testing cosmological models by studying small galaxies in the local universe, and studying those potentially planet-killing asteroids – as well as the moons of distant planets. Among astronomers, perceptions are that NSF’s move to decommission Arecibo has been gaining momentum as challenges from new facilities arise. One potential thorn in Arecibo’s side is ALMA, the ultrasensitive array of radio telescopes recently completed in the Chilean Atacama. Some scientists speculate that with continued resources devoted to ALMA, NSF could be looking to share the relative wealth and spend its money on something other than radio. 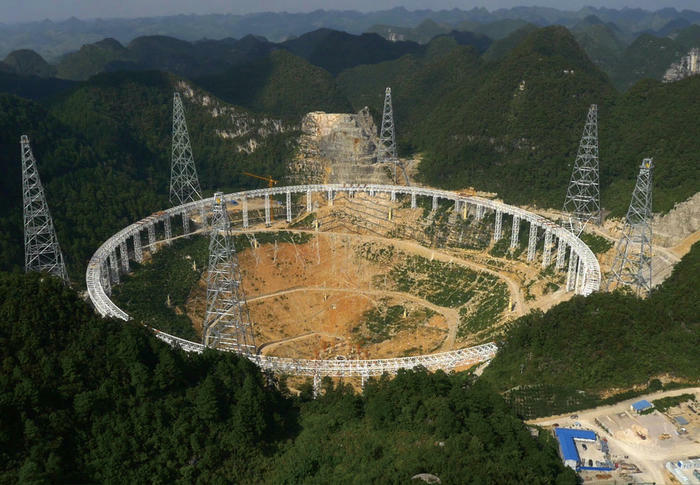 And that might make sense, especially given that China is nearly done constructing a single-dish radio telescope that will be larger than Arecibo. Called the Five-hundred-meter Aperture Spherical Telescope, the behemoth could possibly open its eyes this fall, though real science observations won’t begin right away. Despite its size, FAST won’t necessarily be more sensitive than Arecibo, and it won’t have a built-in radar, which can be used to give the most accurate orbital information for asteroids which might impact the Earth. Cornell University’s Jim Cordes points out that newer facilities don’t necessarily have to replace older, high-quality telescopes, especially when those older facilities still provide unique capabilities. They can be complementary, he says, pointing out that scores of similar optical telescopes exist in tandem, such as the two nearly identical Keck telescopes at the summit of Hawaii’s Mauna Kea. 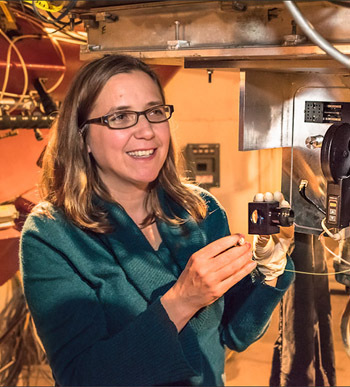 “It’s sort of like there’s a disconnect in the way people think about radio telescopes and optical telescopes,” Cordes says. More importantly, Cordes notes, some experiments actually require multiple extremely sensitive telescopes. One of these, called NANOGrav, uses Arecibo and a telescope at the National Radio Astronomy Observatory in Green Bank, West Virginia to search for gravitational waves. The project does this by observing pulsars, spinning stellar corpses that act as astronomical clocks. As these dense, dead stars rotate, they emit beams of radio waves that can be detected from Earth; gravitational waves, similar to those detected earlier this year by the LIGO collaboration, sweep through and disrupt the signals coming from those spinning clocks in observable ways…as long as a sharp set of eyes is paying attention. It seems clear that Arecibo won’t go down without a fight, but it’s not exactly clear what form that fight will take. Interestingly, former observatory director Robert Kerr threw one punch by beginning the process for listing Arecibo as a national historic site. And NASA, which funds the planetary radar experiments at Arecibo, also may have something to say about NSF shutting down the facility. It’s also possible that another institution, or someone with enough spare cash might decide to step in. Indeed, generations of Puerto Ricans have visited the observatory, in addition to those who have worked, studied, and lived there. 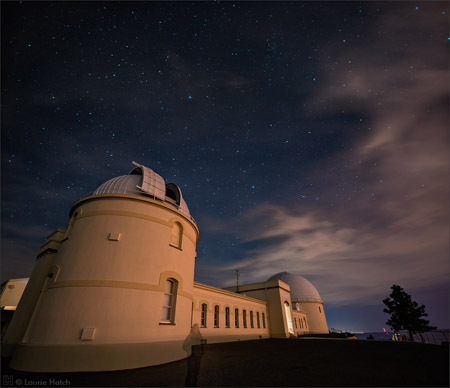 Carlos Estevez Galarza, a student at the University of Puerto Rico, says he hopes Puerto Ricans will one day be as celebrated for their commitment to science as they are for their passions for arts and sports – and he thinks the observatory plays an important role in that. “The Arecibo Observatory and its staff were the only ones who believed in me, when no one did,” Galarza says. He worked as a student research assistant at the observatory, studying Mars, and has since presented his work at international conferences and submitted his first paper to a science journal. One of those students is still in high school. Now 16, Wilbert Andres Ruperto Hernandez wanted to be an astronaut as a kid – and he wanted to get some hands-on experience in science and engineering. So he enrolled in the Arecibo Observatory Space Academy, which offers high school students the opportunity to design experiments, then collect and analyze data. Now, Hernandez says, he wants to study mechanical engineering or space sciences in college, and has discovered a yearning to understand how the universe works – something that emerged while working with and talking to scientists at the observatory. Blazars are galaxies whose central, supermassive black holes are accreting material from surrounding regions. Although black hole accretion happens in many galaxies and situations, in the case of a blazar the infalling material erupts into a powerful, narrow beam of high velocity charged particles that, fortuitously, is pointed in our direction. The charged particles produce gamma ray photons, each photon packing over a hundred million times the energy of the highest energy X-ray photon seen by the Chandra X-ray Observatory. The electron beam produces many other effects, and in blazars these include rapid, strong, and incessant variability. They sometimes also include the ability to generate high-energy gamma rays. The blazar 1ES1741+196 was first spotted in 1996 by the Einstein X-ray satellite. Followup observations determined that it is a triplet system: an elliptical galaxy with two companion galaxies close enough nearby to be an interacting triplet; a tidal tail is observed, for example, presumably the result of mutual gravitation influences. The interactions might play a role in stirring up material for black hole accretion. In 2011, astronomers discovered that the object also emitted gamma rays, but at an intensity that made it one of the faintest such sources known. 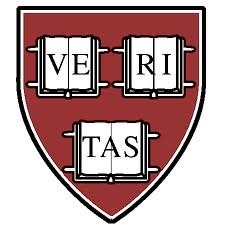 VERITAS, the Very Energetic Radiation Imaging Telescope Array System, is an observatory designed to study gamma rays. It consists of four 12-m telescopes located at the Fred L. Whipple Observatory at Mt. Hopkins, Arizona. CfA astronomers Wystan Benbow, M. Cerruti, Pascal Fortin, V. Pelassa, and Thomas Roche were members of a team of eighty-eight astronomers who used VERITAS to study 1ES1741+196 in an effort to model this weak gamma ray blazar. They observed it successfully in several energy ranges for thirty hours over a period of several years and were able to obtain, and model, the first very high energy spectrum for the source. In general, high energy photons are produced in two processes: direct radiation from the charged particles, and scattering by the fast-moving particles of lower energy photons to much higher energies. The team successfully modeled this source including only these two, energetic processes. The result suggests that the scientists have accurately characterized this blazar – despite its faintness – as being among those that produce the most energetic gamma rays. They also found, curiously, that there is no evidence for any significant flaring in this source. “VERITAS and Multiwavelength Observations of the BL Lacertae Object 1ES 1741+196, A. U. Abeysekara et al. MNRAS 459, 2550, 2016. Radio-optical image of the galaxy J100054. Background image is visible-light as seen with Hubble Space Telescope. Orange shows radio emission from atomic hydrogen gas surrounding the galaxy. CREDIT: Fernandez et al., Bill Saxton, NRAO/AUI/NSF; Koekemoer et al., Massey et al., NASA. Astronomers have used new capabilities of the National Science Foundation’s Karl G. Jansky Very Large Array (VLA) to open a whole new realm of research into how galaxies evolve and interact with their surroundings over cosmic time. They detected the faint radio emission from atomic hydrogen, the most abundant element in the Universe, in a galaxy nearly 5 billion light-years from Earth. “This almost doubles the distance record for this type of observation, and promises key new insights into how galaxies draw in the gas, process it, and lose it as they evolve,” said Ximena Fernandez, of Rutgers University. “As we look farther out in distance, we’re looking farther back in time, so this new capability allows us to gain previously unobtainable information about how galaxies develop,” she added. The scientists detected the radio “fingerprint” of hydrogen in a galaxy called COSMOS J100054. The discovery came from the first 178 hours of observation in a program called the COSMOS HI Large Extragalactic Survey, or CHILES, led by Jacqueline van Gorkom of Columbia University. The CHILES project eventually will use more than 1,000 hours of VLA observing time. The detection was made possible by the improved capabilities of the VLA provided by a 10-year upgrade project completed in 2012. “The new electronic systems in the upgraded VLA were essential to this work. Without the upgrade, this discovery would have been impossible. This detection is the first of what we believe will be many more to come, making an important contribution to our understanding of how galaxies evolve,” said Emmanuel Momjian, of the National Radio Astronomy Observatory. Hydrogen gas is the raw material for making stars. Throughout their lives, galaxies draw in the gas, which eventually is incorporated into stars. In furious bursts of star formation, stellar winds and supernova explosions can blow gas out of the galaxy and rob it of the material needed for further star formation. In order to understand how these processes develop, astronomers need images of the gas in and near galaxies of different ages. Until now, technical limitations of radio telescopes prevented them from detecting atomic hydrogen emission at the distances needed to see the gas in galaxies distant enough to provide the required “lookback time.” The CHILES project will achieve this to distances out to about 6 billion light-years. COSMOS J100054 is in a region of sky extensively studied with multiple telescopes as part of an international project called the Cosmological Evolution Survey (COSMOS). Data from that survey allowed the scientists to glean additional information about the galaxy. In addition, Hansung Gim of the University of Massachusetts, Amherst, used the Large Millimeter Telescope in Mexico to detect Carbon Monoxide (CO) in the galaxy. The CO detection gave the researchers key information about gas in the galaxy that is composed of molecules, rather than of individual atoms. Molecular gas is considered a necessary precursor to star formation. The scientists found that COSMOS J100054 is a massive, barred spiral galaxy that may be interacting with a small neighbor galaxy. With an amount of hydrogen nearly 100 billion times the mass of the Sun, the galaxy is forming the equivalent of about 85 suns every year. “This is the first time we have been able to observe both the emission from atomic hydrogen and from carbon monoxide in a galaxy that is beyond our local Universe,” Gim said. “Now that we have this capability, we soon will be able to start filling in gaps in our knowledge about the properties of galaxies at specific ages. This is an important development,” he added. The research was the work of an international team of astronomers from North America, South America, Europe, Asia and Australia. The scientists are reporting their results* in the Astrophysical Journal Letters. Findings by Rutgers and other scientists could help shed light on how galaxies and their supermassive black holes form. This is NGC 1332, a galaxy with a black hole at its center whose mass has been measured with high precision by ALMA. It’s about 660 million times as massive as our sun, and a cloud of gas circles it at about 1.1 million mph. This supermassive black hole sits at the center of a galaxy dubbed NGC 1332, which is 73 million light years from Earth. And an international team of scientists that includes Rutgers associate professor Andrew J. Baker has measured its mass with unprecedented accuracy. Their groundbreaking observations, made with the revolutionary Atacama Large Millimeter/submillimeter Array (ALMA) in Chile, were published* today in the Astrophysical Journal Letters. ALMA, the world’s largest astronomical project, is a telescope with 66 radio antennas about 16,400 feet above sea level. Black holes – the most massive typically found at the centers of galaxies – are so dense that their gravity pulls in anything that’s close enough, including light, said Baker, an associate professor in the Astrophysics Group in Rutgers’ Department of Physics and Astronomy. The department is in the School of Arts and Sciences. Stars can come close to a black hole, but as long as they’re in stable orbits and moving fast enough, they won’t enter the black hole, said Baker, who has been at Rutgers since 2006. Scientists think every massive galaxy, like the Milky Way, has a massive black hole at its center, Baker said. “The ubiquity of black holes is one indicator of the profound influence that they have on the formation of the galaxies in which they live,” he said. Understanding the formation and evolution of galaxies is one of the major challenges for modern astrophysics. The scientists’ findings have important implications for how galaxies and their central supermassive black holes form. The ratio of a black hole’s mass to a galaxy’s mass is important in understanding their makeup, Baker said. Research suggests that the growth of galaxies and the growth of their black holes are coordinated. And if we want to understand how galaxies form and evolve, we need to understand supermassive black holes, Baker said. Part of understanding supermassive black holes is measuring their exact masses. That lets scientists determine if a black hole is growing faster or slower than its galaxy. If black hole mass measurements are inaccurate, scientists can’t draw any definitive conclusions, Baker said. To measure NGC 1332’s central black hole, scientists tapped ALMA’s high-resolution observations of carbon monoxide emissions from a giant disc of cold gas orbiting the hole. They also measured the speed of the gas. He and his coauthors recently submitted a proposal to use ALMA to observe other massive black holes. Use of ALMA is granted after an annual international competition of proposals, according to Baker. ALMA is an international partnership of the National Radio Astronomy Observatory, European Southern Observatory and National Astronomical Observatory of Japan in cooperation with Chile. U.S. access to ALMA comes via the National Radio Astronomy Observatory, which is supported by the National Science Foundation. Coauthors of the study of NGC 1332’s central black hole include: lead author Aaron J. Barth, Benjamin D. Boizelle and David A. Buote of the University of California, Irvine; Jeremy Darling of the University of Colorado; Baker; Luis C. Ho of the Kavli Institute for Astronomy and Astrophysics at Peking University in Beijing, China; and Jonelle L. Walsh of Texas A&M University. 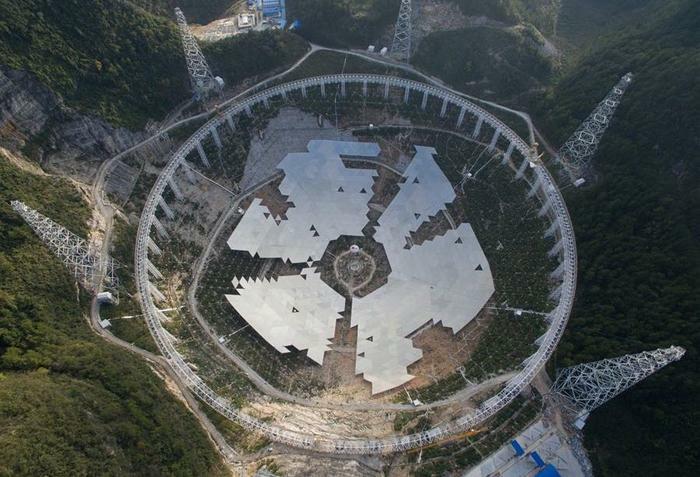 A gigantic bowl of a telescope called FAST is under construction in China – and key components are being designed by CSIRO. For some of the residents of China’s Guizhou province the past six years have been colourful, to say the least. 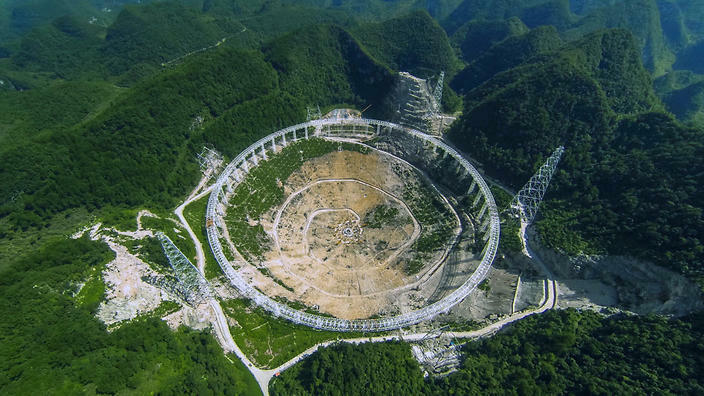 Here, in the Dawodang valley, in 2011 the Chinese Academy of Science began an immensely ambitious construction project for the world’s largest radio telescope. 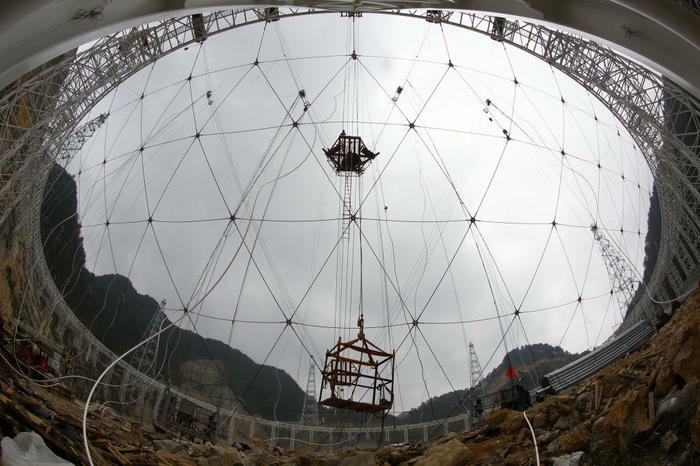 The Five-hundred-metre Aperture Spherical Telescope (FAST) which cost 1.27bn yuan (or $246m) is now getting to its final stages, with completion scheduled for later this year. It’s a gigantic bowl nestled in Guizhou’s Karst mountain range, a spectacular addition to already gorgeous natural scenery – and one that could tell us more about the universe than ever before. Once functional, FAST will become not only the largest telescope of its kind on the whole planet, but also one of the most sensitive, able to receive more distant radio signals, and weak ones we may have previously missed. Astronomers are hoping this will be the tool to boost our search for intelligent life elsewhere in the galaxy and beyond – and also unveil more secrets about the origins of the universe. At 500 metres in diameter, FAST is going to eclipse the current largest radio telescope in Arecibo, Puerto Rico, which stands at an impressive 300 metres. 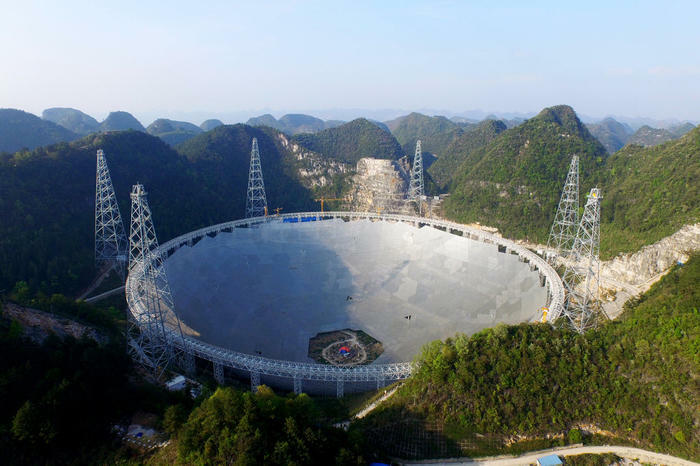 To create a 5-kilometre electromagnetic exclusion zone around the telescope, earlier this year China relocated more than 9,000 people, offering each of them a compensation of roughly $2500. 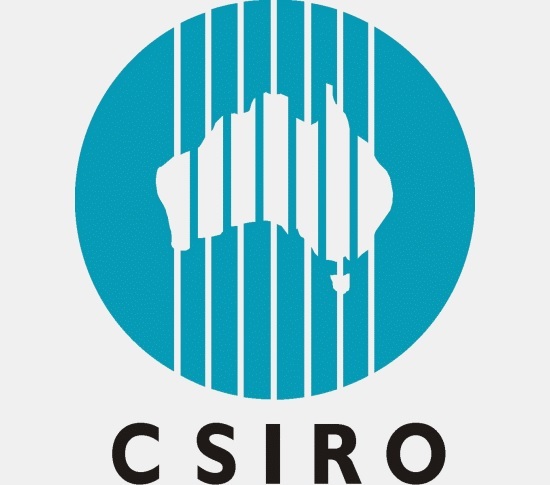 Australian scientists have a hand in this project as well. 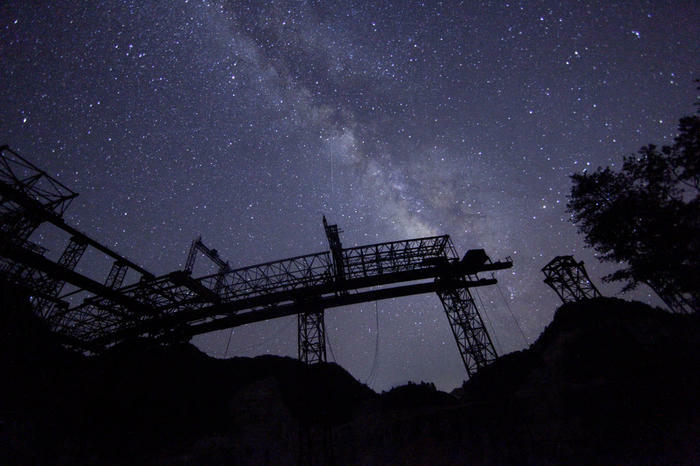 China’s National Astronomical Observatories (NAOC) has teamed up with engineers from CSIRO to design and build one of the key components for FAST – a 19-beam receiver able to scan a large portion of the sky at a time, as opposed to most receivers used right now. The reflector dish is made out of some 4,500 triangular panels which will be adjustable to form a curve corresponding to the segment of sky surveyed. As the radio signals are reflected, they will be transmitted to an Aussie-made receiver. “The powerful receiver we’ve created for FAST is the result of our long history developing cutting-edge astronomy technology to receive and amplify radio waves from space,” says Dr Douglas Bock, Acting Director of CSIRO Astronomy and Space Science. “FAST will make it possible for us to look for a range of extremely interesting and exotic objects, like detecting thousands of new pulsars in our galaxy, and possibly the first radio pulsar in other galaxies,” says Professor Rendong Nan from NAOC. And don’t forget – if we’re going to hear from aliens, FAST is our next best bet. New analysis of ALMA data for HL Tauri provides yet more firm evidence of baby planets around the star. Researchers uncovered two gaps in the gas disk around the star. The locations of these gaps in the gas match the locations of gaps in the dust found in the ALMA high resolution image taken in 2014. This discovery supports the idea that planets form in much shorter timescales than previously thought and prompts a reconsideration of alternative planet formation scenarios. In November 2014, ALMA released a startling image of HL Tauri and its dust disk. This image, the sharpest ever taken for this kind of object, clearly depicts several gaps in the dust disk around the star. Astronomers have not yet reached a definitive answer for what makes the gaps in the dust disk. Because these disks are the sites of planet formation, some suggest that infant planets are the key; the dark gaps are carved by planets forming in the disk that attract or sweep away the dust along their orbits. But others doubt the planet explanation because HL Tauri is very young, estimated to be only about a million years, and classical studies indicate that it takes more than tens of millions of years for planets to form from small dust. Those researchers propose other possible mechanisms to form the gaps: changes in the dust size through coalescence or destruction; or the formation of dust due to gas molecules freezing. More data was needed to determine which theory is correct. We know that the disks around young stars contain gas in addition to the dust. In fact, in general the amount of gas is 100 times larger than that of dust. The research team led by Dr. Hsi-Wei Yen at Academia Sinica Institute of Astronomy and Astrophysics in Taiwan and Professor Shigehisa Takakuwa at Kagoshima University, Japan, focused on the distribution of gas in the disk to better understand the true nature of the disk. If the dust gaps are caused by the variance of the dust properties, that wouldn’t directly affect the gas, so no gaps would be seen in the gas distribution. If on the other hand, the gaps in the dust are caused by the gravity of forming planets, the gravity would be expected to created gaps in the gas as well. Even with ALMA’s unprecedented sensitivity, it was not easy to reveal the distribution of gas in the disk. The team extracted the emissions from HCO+ gas molecules in the publicly available 2014 ALMA Long Baseline Campaign data and summed up the emissions in rings around the star to increase the effective sensitivity. This novel data analysis technique yielded the sharpest image ever of the gas distribution around a young star. The image of HCO+ distribution reveals at least two gaps in the disk, at the radii of 28 and 69 astronomical units. “To our surprise, these gaps in the gas overlap with the dust gaps,” said Yen, the lead author of the paper that appeared in the Astrophysical Journal Letters. “This supports the idea that the gaps are the footprints left by baby planets.” The fact that the gaps in the dust and the gas match-up implies that the amount of material in the gaps likely decreases. This disfavors some of the theories that tried to explain the gaps solely by changes in the dust particles. A decrease in the amount of material in the gaps supports the planet formation theory, in spite of HL Tauri’s young age. “Our results indicate that planets start to form much earlier than what we expected.” Yen added. Figure 2. HCO+ gas (blue) and dust (red) distributions in the disk around HL Tauri. The ellipses show the locations of the gaps. Credit: ALMA (ESO/NAOJ/NRAO), Yen et al. The team also found that the gas density is high enough to harbor an infant planet around the inner gap. Comparing the structure of the inner gap to theoretical models, the team estimates the planet has a mass 0.8 times that of Jupiter. On the other hand, the origin of the outer gap is still unclear. The team suggested the possible existence of a planet 2.1 times more massive than Jupiter, but the present research cannot eliminate the possibility that the gap is made by the drag between the dust particles and the gas. To solve this question, more data are needed. These observation results were published as Yen et al. Gas Gaps in the Protoplanetary Disk around the Young Protostar HL Tau in the Astrophysical Journal Letters, issued in April 2016. Hsi-Wei Yen (Academia Sinica Institute of Astronomy and Astrophysics, Taiwan), Hauyu Baobab Liu (European Southern Observatory, Germany), Pin-Gao Gu, Naomi Hirano, Chin Fei Lee (Academia Sinica Institute of Astronomy and Astrophysics, Taiwan), Evaria Puspitaningrum (Institut Teknologi Bandung, Indonesia) and Shigehisa Takakuwa (Kagoshima University, Japan). This research is supported by the Ministry of Science and Technology, Taiwan.